Maker Maker site, I've moved. Please visit my new website and portfolio Maker Maker. 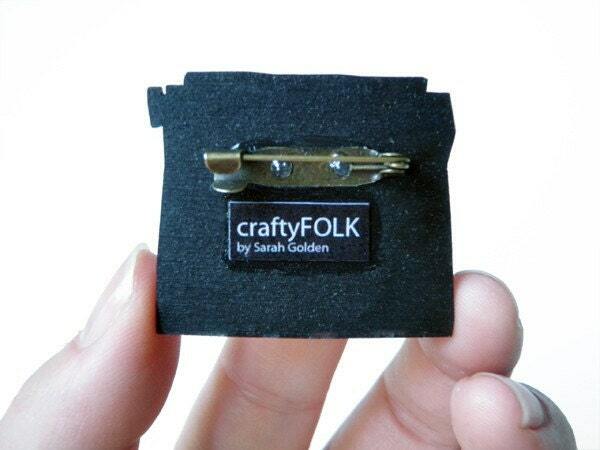 I had a good run with craftyFOLK from 2007-2013, but I've moved onward and upward. I'm pleased to welcome a handful of new wood print brooches now available in my etsy shop. 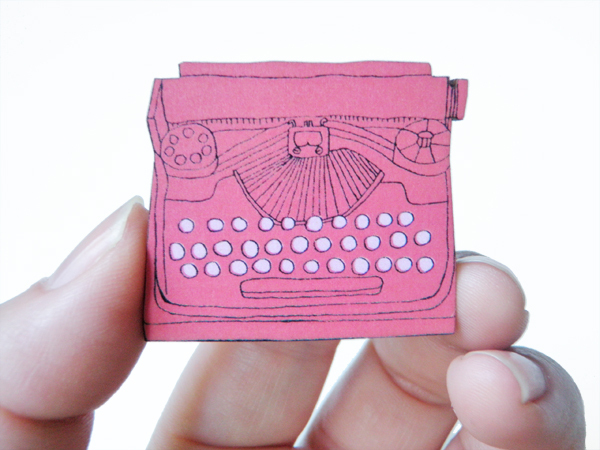 The Polaroid and red typewriter (also in light blue) are featured below. My new label on the back of the wood cuts, I'm happy with the new design, a bit more time involved but well worth the work. I'm in the midst of my first outing to Renegade Craft Fair in San Francisco, it's a successful whirlwind experience. It's Sunday morning of the second day as I type, thank you to all the people who bought items and chatted with me yesterday! I'll be updating my shop with all my new items that did not make it into my Etsy before this weekend. 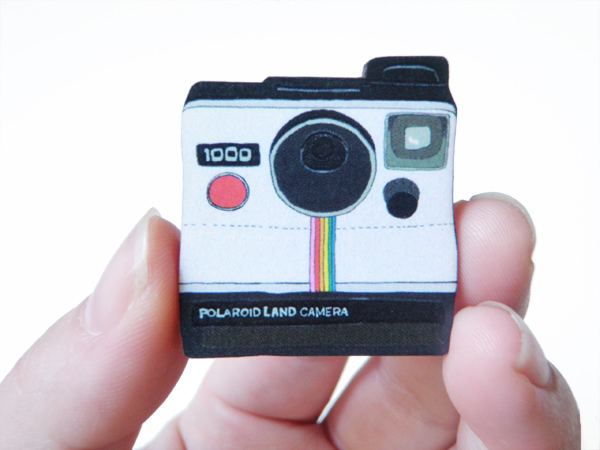 "Where are those awesome wallets, notebooks, wood print brooches? I don't see them in your online shop" you might ask. I'll be back with a shop update by Wednesday this week, please do check back. Thank you very much for a wonderful crazy Saturday at Renegade Craft Fair, I'm looking forward to today! 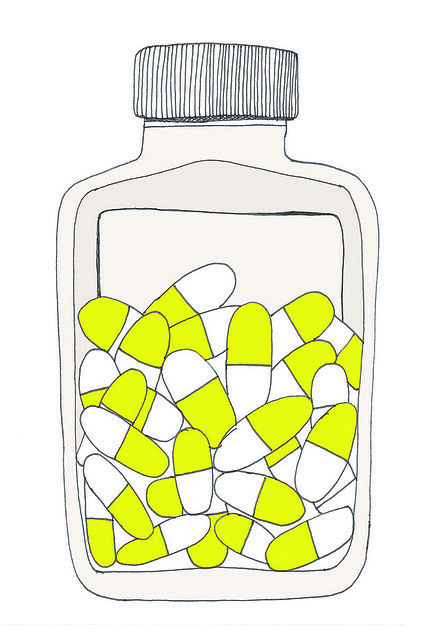 New illustration for a wee pill keeper I'll be prototyping this week. I need one for my purse, so I figured others may too. I'll post photos when I'm done and they're in the shop. Tears of a Rapper, originally uploaded by Rachel Levit. -I have washed half of the dishes. -I have to go for a walk. I'm excited for a new Neistat Brothers episode tonight, I watch mine Saturday morning with a cup of coffee, it's invigorating and gets me all hyped up to create.